Job and Title based Training meeting over 100 different job titles you can apply in clinical science industry. Click for the program you are eligible. Qtech - Sol Professional Development Center (QPDC) is a Private Vocational School (PVS) approved by New Jersey Department of Education and Department of Labor and Workforce Development. Choose your education level from the links below, and see which programs are available for you! At Qtech Solutions Inc, our training programs are designed to help you move forward in your chosen career, by helping you learn these vital roles that are in demand with pharmaceutical and healthcare companies across the US. We know that you have a busy life, so each program is designed to help pace yourself on your own time, allowing you to advance your career without the fiscal and physical strain of a traditional classroom setting. Our Pure Internet Program (PIP) or Blended Online Program (BIP) can be managed on your laptop or tablet, allowing you to fit in lessons whenever you have the time. Alternatively, if you prefer the traditional classroom approach, our Blended Classroom Program (BCP). Our courses are approved by the State of New Jersey Department of Education and Department of Labor and Workforce and are the equivalent of 2 years of practical work experience. Browse through our catalog below and choose the course that’s right for you!. Overcome the hurdles in getting your first job with our training practicums. Designed like an internship, you can shadow our experts to learn more about the positions you will be moving into and gain valuable networking connections. We are ready to help build the foundation for the rest of your career. A Clinical Research Associate / Coordinator in House is a professional employed by a pharmaceutical, medical device manufacturing, or clinical research organization (CRO) to support progress of clinical trials. CRA (in House) supports in-house monitoring and clinical trials progress to ensure the integrity of the trial scientific data collected and the clinical protocol. Admission Requirements Recommended: minimum a Bachelor degree in biochemistry, biomedical engineering, biotechnology, chemistry, clinical data management, medicine, pharmaceutical engineering, industrial pharmacy, industrial chemistry, public health, pharmacy, pharmaceutical business, pharmacology, or toxicology. Curriculum Overview The course provides a thorough foundation in clinical trial science, the drug development process, and clinical trial design methodology. It includes a protocol development, assessment and reporting of adverse events and explains GCP-ICH guidelines along with other necessary regulatory information. The course emphasizes on understanding of the science and the expectations of initiating, conducting, monitoring, and managing clinical trial related work. This training will develop the technical skills and knowledge pertaining to roles and responsibilities of CRA - In House. Students will get exposure to real time practices pertaining to Case Report forms (CRFs), Trial Master File (TMF), Clinical Trial Protocol, Clinical Trial Budget and Audit. 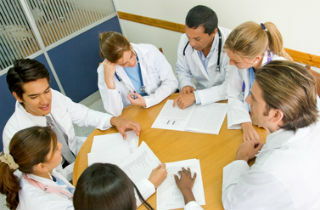 The course curriculum was designed to give an edge to obtain job opportunity in clinical research field. Completion Pass grade requires minimum 75% score on the final exam. A Clinical Research Associate in House is a professional employed by a pharmaceutical, medical device manufacturing, or clinical research organization (CRO) to support progress of clinical trials. Course Reading Material (PowerPoint presentations and Exercises). Career Opportunity Pathways Clinical Research Associate (In-House), Clinical Research Monitor, Trial Documentation Specialist, CRA - Trial master File Maintenance, CRA - Trial Documents Validation and CRF Data. A Clinical Research Project / Study Manager (CRM) is responsible for the monitoring, data collection and analysis, and reporting of clinical trials performed and be in compliance with Ethical practices, ICH , GCP and Clinical Safety guidelines per U.S. and international markets. The Additional CRA training emphasizes on practical aspects as presentations in the reference to role performed by CRM into industry. See program highlights for more information. Teaching Methodology Available as self-paced training (PIP, pure internet program) Course Reading Material (PowerPoint presentations with Voice-over). Career Opportunity Pathways Clinical Program Manager, Senior Clinical Research Associate, Clinical Study Manager, Research Business Manager. A Drug Safety / Pharmacovigilance Associate (DSA / PVA), known also in the industry as a Pharmacovigilance Officer, is a health science professional responsible for the monitoring, data collection and analysis, and reporting of drug safety information for compliance with drug safety regulations in the U.S. and international markets. DSA / PVA also monitors and assesses drug safety requirements for drugs in the development pipeline as well as for those drugs approved that may require additional marketing or clinical action by the drug manufacturer. See program highlights for more information. Curriculum Overview Our program is approachable which provides in-depth knowledge and practical exposure to roles and responsibilities performed by Drug Safety / Pharmacovigilance Associate. 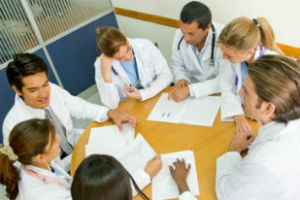 It gives insight into base topics including but not limited to: Introduction to Clinical Research, Drug Development Process, ICH Guidelines for Good Clinical Practice, Drug Safety Regulations and Guidelines, Clinical Trial Protocol, SOP Development, Drug Safety Databases and Software, and Understanding of 21 CFR Part 11 and HIPAA. Our program focuses on core topics of Drug Safety in reference to roles and responsibilities performed by Drug Safety / Pharmacovigilance Associate. Core topics includes Role of DSA (Trials), Clinical Trial Safety Surveillance, Phase IV Trials and Pharmacovigilance, Introduction To Adverse Events, SAE Reconciliation, Characteristics of a Case, Sources of Individual Case Reports, Basics of Coding in Drug Safety, Case Narratives, Case Follow-up Approaches and Handling of Cases and Drug Safety Data Extraction and Pre-processing. Thus, Program offered at Qtech will provide students an edge to get into opportunities in the Drug Safety field. A Drug Safety Associate (DSA) is responsible for the monitoring, data collection and analysis, and reporting of drug safety information for compliance with drug safety regulations in the U.S. and international markets. The Advanced DSA training emphasizes on practical aspects in the reference to role performed by DSA into industry. See program highlights for more information. Admission Requirements Recommended: minimum a Bachelor degree in Pharmaceutical Chemistry, Public Health, Medicine, Pharmaceutical Management, Clinical Research, Pharmacy, Nursing, Pharmacology, Toxicology, Industrial Pharmacy or Industrial Chemistry. 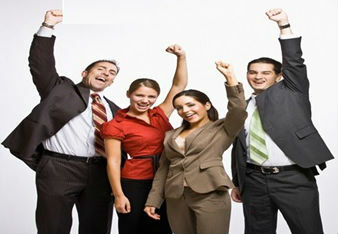 Completed DSA training or work experience. gain exposure to roles and responsibilities performed by DSA into industry along with advanced learning of different tasks in reference to real time data and work flow pattern to be followed. Teaching Methodology Available as self paced training (PIP, pure internet program) Course Reading Material (PowerPoint presentations and Exercises). Career Opportunity Pathways Drug Safety Associate, Drug Safety Scientist Case Processor, Triage Specialist, Narrative Writer, Medical Record Extractor, Senior Drug Safety Associate, Medical Reviewer. A Drug Safety Data Management roles towards project Management and report submissions (DSA) is responsible for the monitoring, data collection and analysis, and reporting of drug safety information for compliance with drug safety regulations in the U.S. and international markets. The Additional DSA training emphasizes on practical aspects as presentations in the reference to role performed by DSA into industry. See program highlights for more information. Admission Requirements Recommended: Minimum a Bachelor degree in Medicine (MD), Pharmaceutical Chemistry, Pharmacy (PharmD), Nursing (RN). A Clinical Data Management specialist coordinates and manages data for clinical research studies. 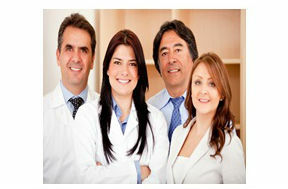 CDM specialist is responsible for clinical study databases and associated data. A Clinical Research Data Management specialist coordinates and manages data for clinical research studies. CDM specialist is responsible for clinical study databases and associated data. Being a key member of the interdisciplinary clinical research team CDM works directly and indirectly with Contract Organizations (CROs) for data coordination, validation, and management for compliance with Standard Operating (SOP) procedures, client guidelines, domestic and regulatory agencies. Admission Requirements Recommended: minimum a Bachelor degree in Life Science, Biological Science, Pharmacy, Biochemistry, Health Information Technology. Curriculum Overview The Clinical Research Data Management training program offered at Qtech provides insights into Clinical Research Data Management activities along with exposure to real time documentation and scenarios pertaining to roles and responsibilities performed by Clinical Data Management specialist. Qtech provides in-depth into core area of clinical data management like Clinical data and its quality, data management plan, data entry, Clinical Research Data Management Systems (CDMS), Clinical data repository, loading of external data into CDM, Query management, data clarification form, database locking, patient diary, data cleaning and validation, and database archiving. The students will get practical exposure to real time documentation and scenarios for Data Management Plan, Query Management, Coding of Adverse Events, SAE Reconciliation, Data Cleaning and Data Validation, Elements of CRF, e-CRF designing, Data tracking from CRF, and Types of Reports generated. 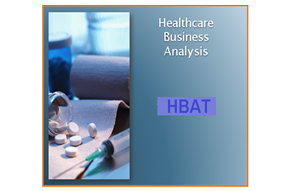 A Healthcare Business Analyst is a professional employed by a Healthcare and pharmaceutical organization, who keep track of the reforms , policies and data requirement needs of the stakeholders within the organization and keep track on changes applied to meet the Risk,Analytics and Reporting needs across various business units. The person will be responsible for requirement gathering, documentations, project management and regulatory changes as key person towards various projects. Admission Requirements Recommended: minimum a Bachelor degree in Healthcare management, Pharmaceutical sciences, Pharmacy, Medical Technology, Public health, Computer Science and Information Technology and Bioinformatics. Curriculum Overview The course provides a thorough foundation in Medical healthcare insurance program and project management tasks for Risk, Analytics and Reporting needs. The course emphasizes on understanding of the healthcare science domain covering the following topics. Career Opportunity Pathways Healthcare Business Analyst, Claim processor and Analyst, Healthcare Risk Analysts, Healthcare Analytics and Reporting, Healthcare QA Analyst. 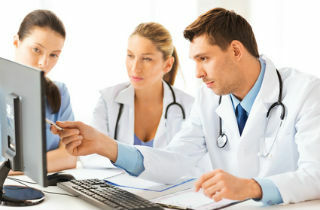 A Managed Care Business Analyst is a professional employed by a Healthcare and pharmaceutical organization, who keep track of the reforms, policies and data requirement needs of the stakeholders within the organization and keep track on changes applied to meet the Risk, Analytics, and Reporting needs across various business units. The person will be responsible for requirement gathering, documentations, project management and regulatory changes as key person towards various projects. Admission Requirements Recommended: minimum a Bachelor degree in Healthcare Business management, Pharmaceutical sciences, Pharmacy, Medical Technology, Public health, Computer Science and Information Technology and Bioinformatics. Curriculum Overview The course provides a thorough foundation in Healthcare Business Management and Managed Care processes. After going thru the program, the student will be able to perform the following duties. The course provides a thorough foundation in Healthcare Business Management and Managed Care processes. After going thru the program, the student will be able to perform the following duties. Leads a team of business analysts that support the organization in proactive and retrospective analysis, tracking, research and problem resolution related to authorizations, utilization management and Clinical Operations. Manages the overall program of tools and reports for the Clinical Operations team to assess and track authorization status, workload, turnaround time, pended claims, and other performance metrics. Continually assesses and makes recommendations for ways to optimize the service coordination workflows for end to end efficiency and effectiveness. Support short and long term operational / strategic business activities by assisting in the development, execution, management and maintenance M&R, CMS Star ratings and coding accuracy improvement strategy and performance. Provide analytical support for CMS Star Ratings, HEDIS Measures, and EMR both in an outpatient and inpatient setting. Conduct complex analyses (e.g., researches & analyzes policy, techniques & procedures for reconciliation & reimbursement strategies for Medicaid-contracting managed care plans [MCPs] & eligible consumers). Monitors & evaluates program policies & procedures to assure compliance with federal & state regulations. Provides consultative expertise & training & acts as liaison to both intra-agency & inter-agency providers (e.g., MCPs, enrollment, eligibility or encounter processing vendors). Determines & implements necessary state Benefits eligibility system, Medicaid Information Technology System (MITS) & other programmatic changes & discrepancies. Use case development, design, and testing; verifies reimbursements request & claims adjustments resulting from eligibility actions. Responsible to investigate, document, and analyze client requirements in project areas such as: new/existing business operating models with innovative approaches to applicable department solutions support, market research of emerging or available product unctionality and operational readiness assessment. Career Opportunity Pathways Managed Care Business Analyst, Healthcare Management Analyst, Healthcare Risk Analysts, Healthcare Analytics and Reporting, Healthcare QA Analyst. The Clinical Data Oriented Training (CDOT) provides intensive learning on how SAS is used in clinical and pharmaceutical industries. In particular, how codes, analysis and reports are generated using SAS. The Clinical Data Oriented Training (CDOT) provides intensive learning on how SAS is used in clinical and pharmaceutical industries. In particular, how codes, analysis and reports are generated using SAS. The CDOT program emphasizes on real time practice by providing variety of cases with given data, and instructions how data should be used and what parameters should be analyzed in order to successfully complete assigned real time scenario projects. Admission Requirements Recommended: minimum a Bachelor degree in Statistics, Bio-statistics, Biotechnology, Economics, Clinical Research with IT, Computer Science, Engineering, or Applied Mathematics. Access to: SAS Software (Version 9.X or above) and Windows Microsoft Suite. Curriculum Overview The CDOT course is designed for individuals who are either SAS Certified or have advanced skills in SAS software functionality. This program is mostly recommended for experienced SAS programmers who are interested in career advancement on clinical field. The course builds upon the concepts presented in the SAS Modules course. Emphasis is placed on how SAS is used in clinical and pharmaceutical industry. The course comprises SAS Business and SAS Projects (Therapeutic Based Projects and Prototype Clinical Data). To ensure the candidates gain practical knowledge and hands on skills in clinical data analysis and reporting in the industry, the teaching/learning and projects will be related to the clinical trials from phase I to phase IV. This includes variety therapeutic areas, such as oncology, ophthalmology, cardiology and central nervous system. Related data analysis and reporting follow each phase of clinical trials. SAS program is the industry-standard statistical tool. QPDC offers Basic SAS Modules training program, which is designed to help interested candidates understand how SAS program manipulates and views data in various industries. SAS program is the industry-standard statistical tool. QPDC offers SAS Modules training program, which is designed to help interested candidates understand how SAS program manipulates and views data in various industries. This course prepares candidates to gain solid understanding of functionality of all Three modules of SAS software SAS Base, SAS Macros, SAS SQL. Admission Requirements Recommended: minimum a Bachelor degree in Statistics, Bio-statistics, Biotechnology, Economics, Clinical Research with IT skills, Computer Science, Engineering, or Applied Mathematics. Curriculum Overview It is designed to provide programming personnel and analysts or interested candidates with the skills necessary to produce simple reports and data sets as well as providing an understanding of how to SAS to present and analyze data. The focus of the course is to consider SAS in the data processing environment and provide a strong background for programmers to tackle advanced SAS programming skills. All Three modules SAS Base, SAS Macros, SAS SQL, are available in our online learning management system. SAS program is the industry-standard statistical tool. QPDC offers SAS Modules training program, which is designed to help interested candidates understand how SAS program manipulates and views data in various industries. This course prepares candidates to gain solid understanding of functionality of all Two modules of SAS software SAS Stat, SAS Graphs. Curriculum Overview It is designed to provide programming personnel and analysts or interested candidates with the skills necessary to produce simple reports and data sets as well as providing an understanding of how to SAS to present and analyze data. The focus of the course is to consider SAS in the data processing environment and provide a strong background for programmers to tackle advanced SAS programming skills. All Two modules SAS Stat, SAS Graphs, are available in our online learning management system. Join hands with Qtech and become leading company to provide Clinical Research, Clinical Data Management, Clinical SAS & Pharmacovigilance services to pharmaceutical and healthcare industry. Qtech Specialize in developing and deliver Job Oriented Internship and Training Programs to professionals and fresh students to get familiar with client setting, tasks assigned and work culture of Title based jobs. Our programs best suit candidates having urge to make career pathways and looking to expand career opportunities as highly skilled professionals in Clinical Science and Healthcare Business Domains. The programs are delivered using various simulation methods to meet the job specific requirements. The focus is meeting client's needs, industry trends, current regulations, and positions in demand. All programs are supervised and conducted by industry professionals. Qtech University Alliance programs meets the compliance and follow the guidelines required. Clinical Research is a rapidly expanding field, creating exciting job opportunities. Clinical Data Management (CDM) and Drug safety / Pharmacovigilance is the fastest growing and possibly the most profitable segment in Bio Services industry. The global clinical trial service market was worth an estimated $38.4 B in 2015, and is expected to grow up to $64 B by 2020. Over 70% of all clinical trial services will be outsourced by 2020, which is nearly 3 of every 4 clinical trials conducted. QTECH SOLUTIONS INC, Doing Business As "Qtech-Sol Professional Development Center" (QPDC) is a Professional and Management Development Training Organization (NAICS 611430). We develop various Job Oriented Training Programs to individual students, looking to expand career opportunities as highly skilled professionals. E-verified with Immigration. The Training's are provided to individuals and corporate through employers training programs and to those who have been recommended and approved by NJ Workforce. Our courses are customized and modified to meet the job market. Our Instructions is provided thru our custom-built Learning Management System as distance-learning (Online). The training provided has simulation methods and client settings required for student online learning. Our Clinical Science Programs are Approved by New Jersey Department of Education and NJ Department of Labor and Workforce Development. We as Clinical Data Management Organization, provide product development services to the pharmaceutical, biotechnology, and medical device industries getting involved in approximately two-thirds of all Phase I - IV clinical trials, Our CDM professionals bring their scientific, regulatory and information management expertise to bear for the completion of timely, accurate, cost-effective trials and even controlling costs and reducing the research and development timelines. Qtech solutions is expertise in biostatistics and statistical programming in pre-clinical, phase I-IV clinical trials and post-marketing studies. Our team of statistician have experience in designing and analyzing highly complex clinical trials. They are available to work with our clients in the study design stages, in interim analysis situations if needed and in the final statistical analysis and reporting stages of successfully completed studies. We provide comprehensive statistical services specifically designed to meet the needs of your study. Our experienced biostatisticians can design, perform quantitative analyses, and report on clinical trials in a broad range of therapeutic areas. Our Cloud based narrative analytics product "Hiddime" (Hidden Dimensions), based on Semantics Technology is delivered along with its technical partners "Lead Semantics" and "Franz Inc". No programming or coding required, Connect and integrates all traditional (Oracle, Sql Server etc.) and non-traditional databases (LinkedIn, Facebook, Twitter etc.) into one platform. New generation SaaS based IDEA (Interactive Data Exploratory and Analytics) tool. Uses Semantic Computing solution allowing users to create semantically enriched data. Works in line with BI Data Warehouses, Data Lakes and the new Smart Big Data Lakes. 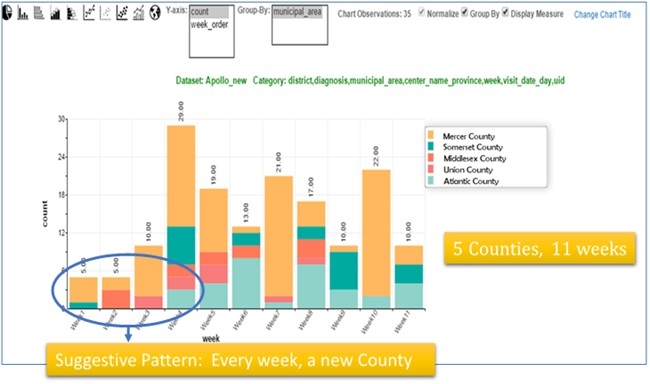 Enhanced Data Discovery – Connected Graph enables Exploratory navigation by end business users. Includes Standard Visualizations Charts, Plots, Connected Graphs Role Based Access, Work Groups, Remote Concierge Data Analysis & Science. Meeting ROI and eliminate gaps. 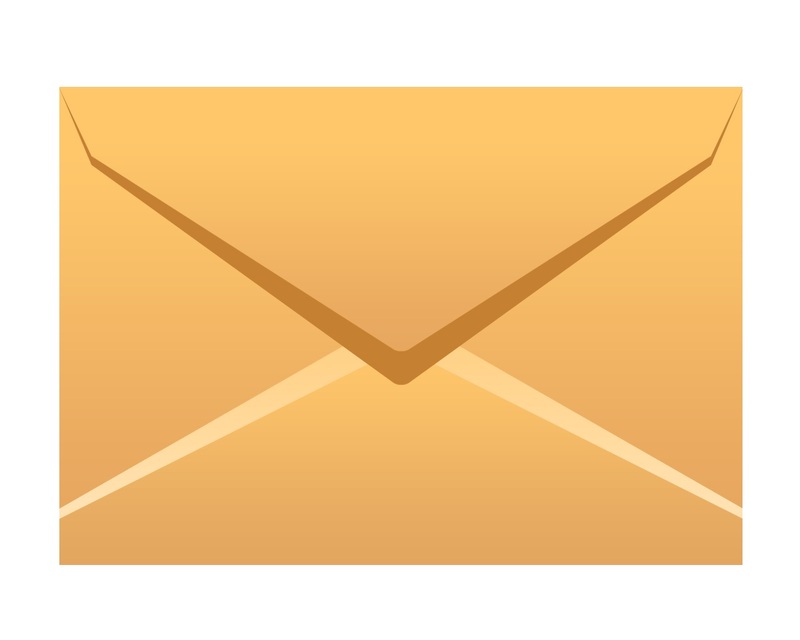 Get In-line reports online (anywhere and anytime) thru your mobile or on-site. Sync data and reports with time. Graphic visual analytics and dashboard for Financial, Banking, Sales, Marketing, Retail, Manufacturing, Staffing, Recruitment, Pharmaceutical , Hospitals, Healthcare and Insurance organizations. Business Intelligence (BI) is a mature decades old enterprise practice. It is a set of systems working in tandem to deliver reports and dash-boards to upper management to help in communicating the state of the business, predominantly centered around performance indicators highlighting key areas of operations; resource utilization, sales and revenue realization and other delivery commitments the organization undertakes. Qtech Solutions Inc, along with its technical collaboration with Lead Semantics and Franz Inc. believes significant new efficiencies especially supporting ease-of-use and delivering new types of analytics outcomes and insights can be delivered by a separate layer for data organization specific to serve visualization needs, and has recognized it as a business opportunity. Thus, hiddime lays special emphasis and has a built-in support for Data Organization for Visualizations and User Interactions. Over the last decade, the data land scape in the enterprise has rapidly changed along with changing user and market expectations attached to the BI and Analytics off the data that is newly available. The unprecedented and exponential growth of sophisticated internet/web enabled consumer devices (smartphones, etc.) that are capable computers themselves, generating vast amounts of data and powerful computer and communication technologies along with potent software techniques such as graph processing and machine learning has enabled ever-complex processing work-loads generating deeper insights - defining characteristic of BIG DATA! Hadoop as the defacto processing platform has dominated this new land scape, with recent addition of Spark for in-memory computation for advanced analytics among other platforms and frameworks. Smart Data More recently, adding semantics to data during the ingest process (process of turning Big Data into Smart Data) has been proven to enhance manageability and governance of data as well as proven to reduce ETL work and frees up data scientists to maximize using their special skills to work on the advanced analytics that the organization wants delivered. Another major benefit of adding semantics to BIG DATA is that rich Knowledge Bases that exist in virtually every domain can be integrated and leveraged for deeper and more integrated analytics. Semantic integrated environments also drive up automation levels resulting in further efficiencies within the organization. Visualization and Presentation of newer, higher order analytics - predictions, detecting correlations from manifest connections, etc. Hiddime is an IDEA tool, Interactive Discovery, and Exploratory Analytics tool. Hiddime differentiates itself from the usual BI tools with its focus on ease-of-use. Our emphasis on making the user interaction sessions seamless and simple has resulted in least learning curves for the business user. Typically, no more than few hours of training are required even for non-IT folks from various domains to operate and generate expert level analytics from data! Hiddime is domain and industry agnostic. encapsulating point and click interactions. Business users and frontline managers who are not necessarily IT savvy, who know and understand their data and importantly can bring their gut feel based on their knowledge of the business context that allows them to discover organizational data that substantiates and supports decisions they take to advance corporate goals. Unlike the typical BI tool Hiddime is not tied to RD and Multi-Dimensional Data warehouse, it is designed ground up to work with the newer data storage solutions from the BIGDATA world; NoSQL, Graph, Hybrid Store, Column Store and RDF Stores. Hiddime in production uses a home-grown high-performance hybrid data storage with support for tables and edges for connected graphs. Soon, a new version of hiddime with support for RDF Triple Store as the storage backend is going to be released making hiddime first BI and Analytics product for Smart Data. Deep Analytics and Dashboard - Using HIDDIME. Visual Analysis using RDF Storage Data. 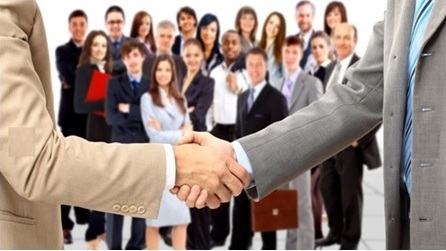 Qtech's Primary Consulting services include providing corporate training and supporting its clients with right candidate to meet their contractual and full-time human resource needs. We support various consultants towards Clinical Research, Drug Safety / Pharmacovigilance, Business Analysis, Reporting, Medical Writing and Safety Reviewers. Support towards Clinical Trial, Monitoring and Medical Safety, Healthcare Business and Project management services for pharmaceutical Research, Hospital, Medical Healthcare, Financial and Investment Banking firms. Our PLACEMENT division offers Internship and support to client by providing resources to meet cost efficiency, time saving, and commitment towards hiring solutions to various companies in pharmaceutical, healthcare, and financial segments. Qtech is an equal opportunity employer. Most professionals hired by Qtech hold bachelor or master's degree in Health Care Administration, Public Health, Medicine, Pharmacy, Registered Nurse (RN), Pharmaceutical Chemistry, Computer Science and Information Technology, Biostatistics, Engineering, Economics, Statistics, Pharmaceutics, Pharmacology, Toxicology, Pharmaceutical Business and Industrial Chemistry and Masters in Business Administration. Our project managers are responsible for the overall conduct of a clinical study, ensuring quality is delivered from beginning to end. They provide leadership and oversight to our study teams and serve as a single point of contact for our sponsors. Qtech offers comprehensive services that supports all clinical trials from Phase II to Phase IV, beginning with Study Start-up, Feasibility through the completion of the Study Clinical Report. We provide solutions that can provide you with trial efficiencies, all driven with the goal to complete your study on time and on-budget. Most professionals hired and working at Qtech hold Bachelor or Master degree in Medicine, PharmD, Nursing (RN), Health Care Administration, Public Health, Pharmaceutical Engineering, Pharmaceutics, Pharmacology, Toxicology, Industrial Chemistry, Computer Science and Information Technology, Bioinformatics, Statistics & Biostatistics, Business Administration (Marketing). Our Objective is to support various pharmaceutical, healthcare and research organization by providing project management and staffing resources to meet cost efficiency, times saved and commitment to full-fill. Our project managers are client focused and in charge of the clinical team for the duration of your clinical trial or drug development program. With a company-wide standard for quality and integrity, Qtech encourages team ownership of each clinical trial and is dedicated to its successful execution. Our project managers are responsible for the overall conduct of a Safety study, ensuring PV and Clinical Quality Assurance, Reporting and Medical Writing and Reporting, Evaluation, and Assessment. They provide leadership and oversight to our study teams and serve as a single point of contact for our sponsors. 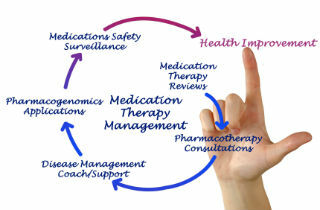 Qtech offers comprehensive services that supports various Pharmacovigilance Operations on time and on-budget. Our experienced Drug Safety Physicians, Drug Safety and Pharmacovigilance Officers support monitoring, data collection and analysis, and reporting of medical safety information for compliance and meet regulations imposed. Aggregate Report Writing (PSUR/ PBRER/ PADER/ DSUR). 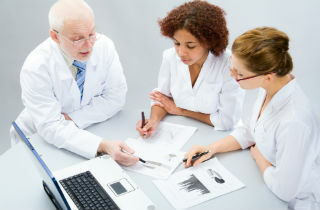 A Clinical Research Coordinator is a professional employed by Hospitals, Clinical Research Organization and University academic medical programs to support progress of clinical trials. A Clinical Research Assistant is a professional employed by a pharmaceutical, medical device manufacturing, or clinical research organization (CRO) to support administrative support, assisting with routine tests and procedures and collecting both data and samples. A Clinical Data Assistant is a professional employed by a pharmaceutical, medical device manufacturing, or clinical research organization (CRO) for supporting Clinical Data Management Process to progress of clinical trials.